I am reminded again this morning of one of the reasons why I keep this blog. Two weeks have gone by now without my Friday chronicle of our every day lives and it all seems forgotten already and an eternity ago. Amazing how, by simply recording, the events come to life again. We refresh our memories, revive them to relive them, and savor the moments of our every day lives. The past two weeks have been mostly ordinary, with school and work and the stuff of life. But last Thursday I decided it was time to do something different. So this week we did. We’ve been to the zoo and a farmstead in Kansas City. We did less school, did some major grocery shopping that enabled me to restock our formerly empty pantry, and purchased some cool weather clothing for the third born. We’ve had riding lessons and art lessons and, of course, piano and ballet. 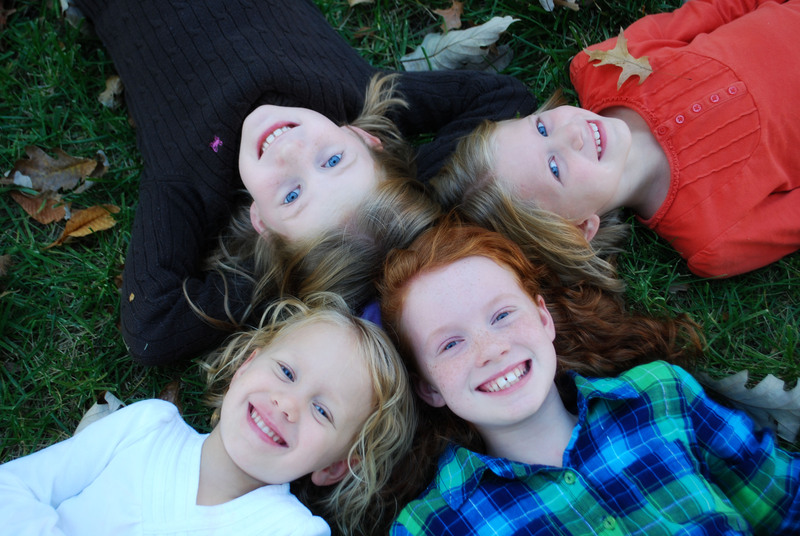 And we even stole a few moments one beautiful afternoon this week to take some current photos of the girls…. Matt and I have been out on dates, including one that was a total surprise to a very special place, and I have been blessed by some wonderful times with a wide variety of girl friends. Today I am stealing away for much of the day with one of my favorite friends to celebrate our September birthdays together. The past two weeks have been good. This week in particular has been refreshing. May your weekend be refreshing as well. Whether it is slow and leisurely or over-booked with activities and obligations, may you find moments of rest and peace that draw you closer to our Heavenly Father. Give glory to Him today!